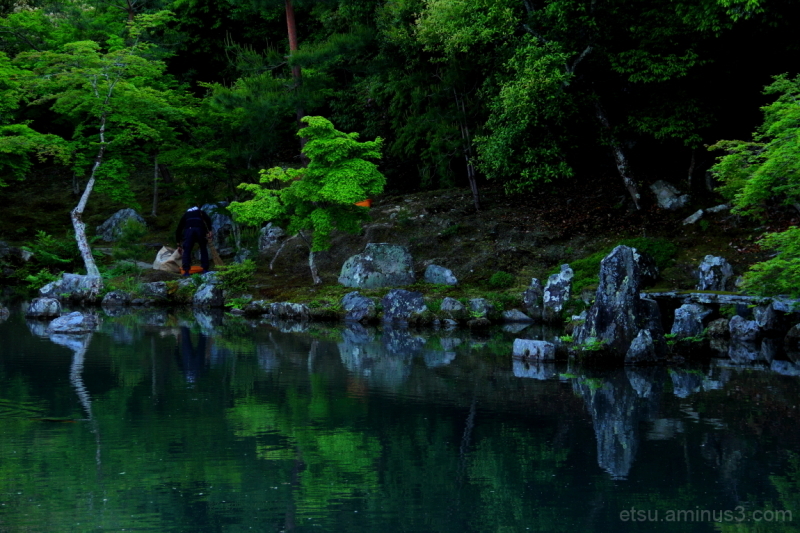 Etsu (Kyoto, Japan) on 3 July 2014 in People & Portrait and Portfolio. Nicely composed with the reflection. May be a little bit dark, no? C'est un petit coin adorable !!!!!!!!!!!! jolie photo. Very nice composition and beautiful landscape. I love the atmosphere and colors, reflections are magnificent. Beautiful reflections in this image, have a nice day Etsu. Amazing ! perfect reflections. lovely image ! that intense green is so beautiful ! Quels reflet quel végétation et iamge sueprbe. The darkness gives the feeling of a secret spot, of great beauty, known only to a few. The rich colors are gorgeous. This is just gorgeous! Beautiful color and reflections. I really like the rocks. It seems like it could be deep in the woods. 5*s! Great composition with gorgeous reflections!! It's amazing how well the trees stand out in such subtle lighting!